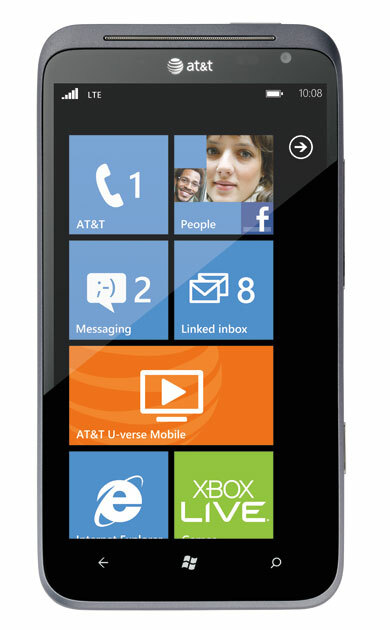 HTC today announced the HTC Titan II, the companies first 4G LTE Windows Phone, which will be available on AT&T. Like it’s predecessor, the HTC Titan II features a massive 4.7 inch super LCD display. It will also feature a 16-megapixel camera with an f/2.6 wide-angle lens, autofocus, dual LED flash, red eye reduction, image stabilization and a backside-illuminated sensor. The HTC Titan II will also see the addition of a front facing camera. Full press release after the break. The HTC Titan II will be available “in the coming months”. Latest Windows Phone from HTC to Run on AT&T’s 4G LTE Network in U.S.
LAS VEGAS — Jan. 9, 2012 — At the 2012 International CES, HTC Corp. today introduced the HTC TITAN™ II as the company’s first Windows Phone to run on a 4G LTE network. Available in the coming months to AT&T customers, the smartphone includes the largest display among Windows Phones, an advanced 16-megapixel digital camera and access to 4G LTE* speeds.